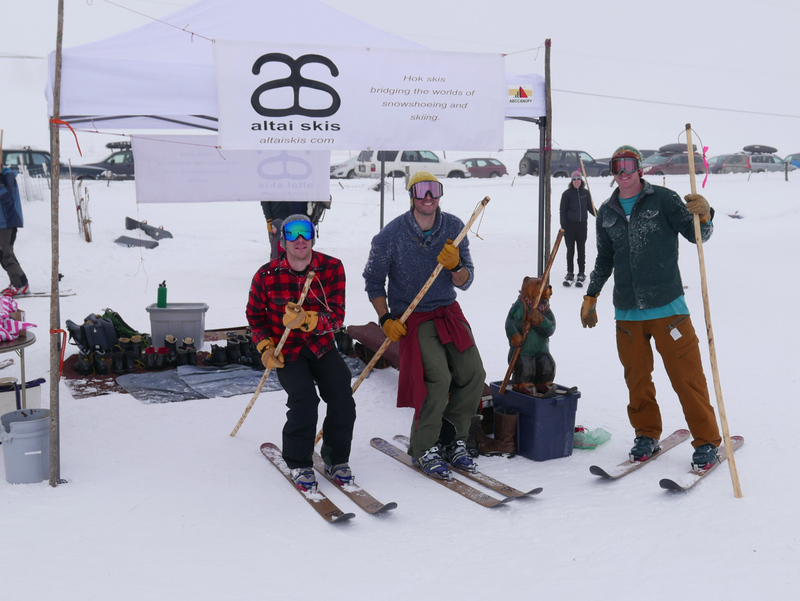 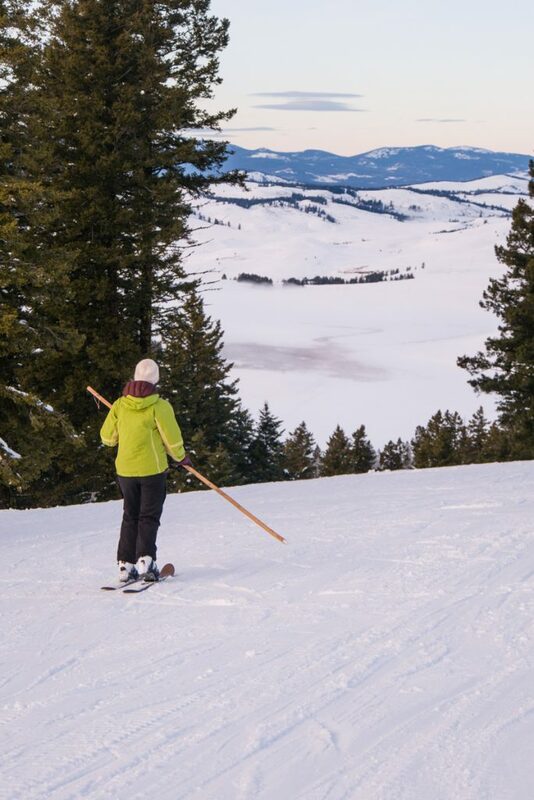 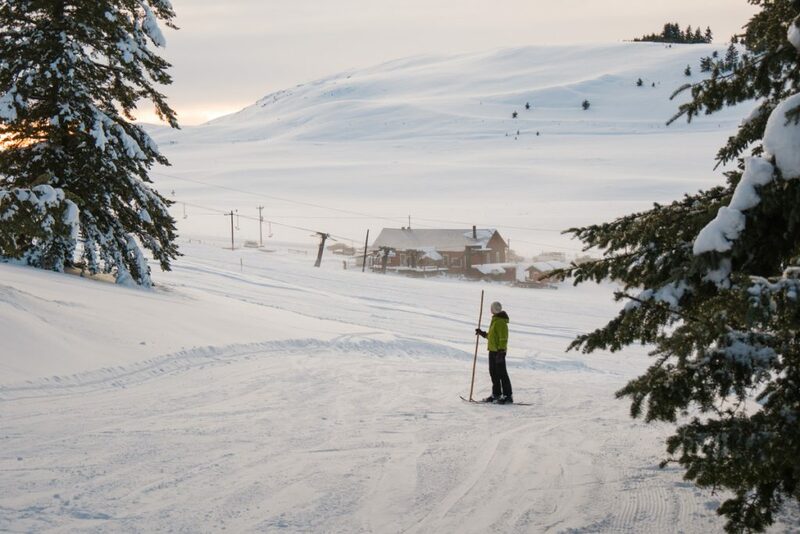 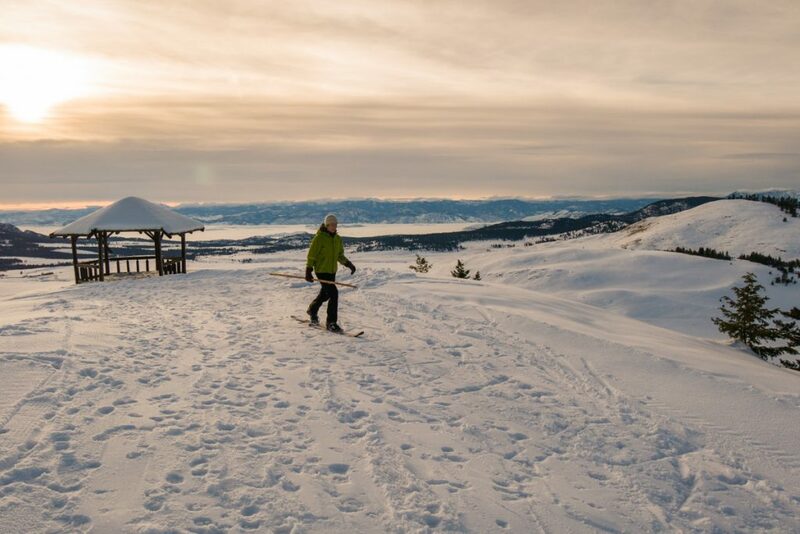 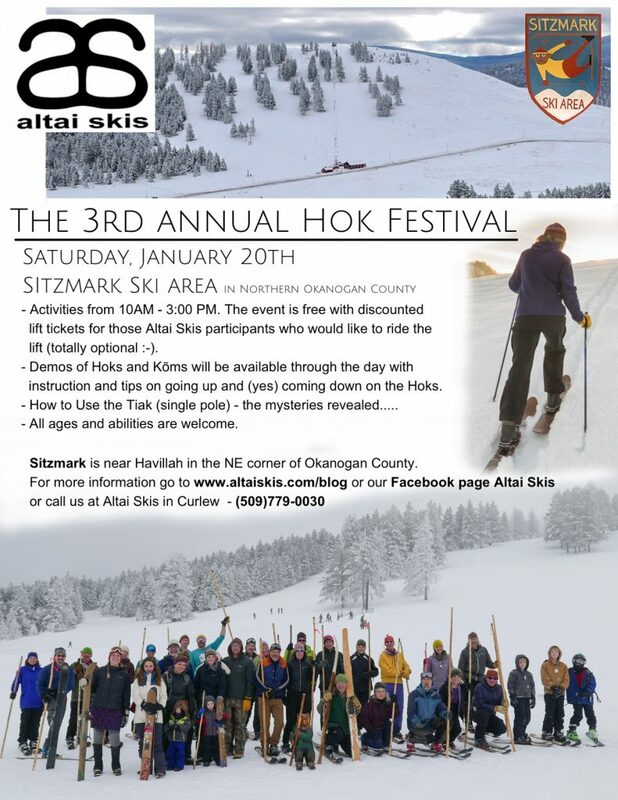 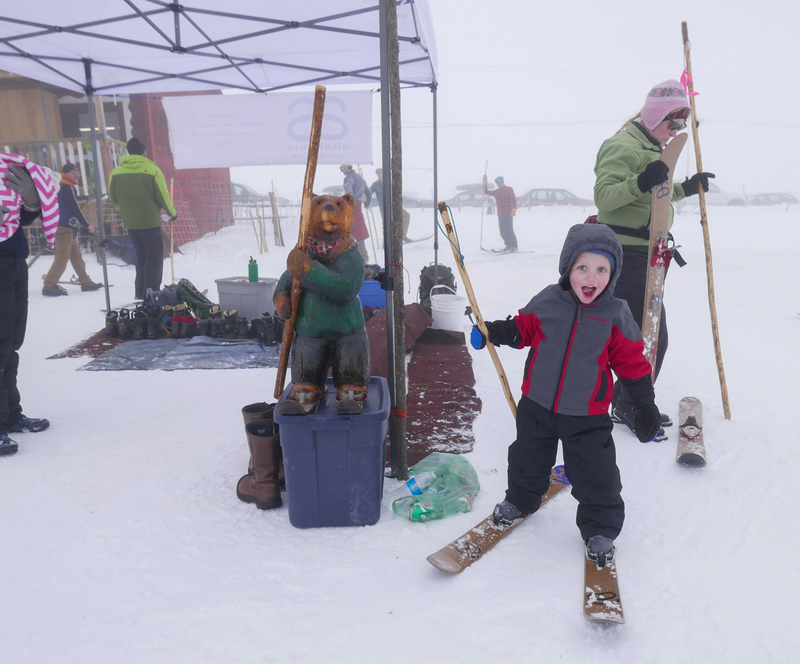 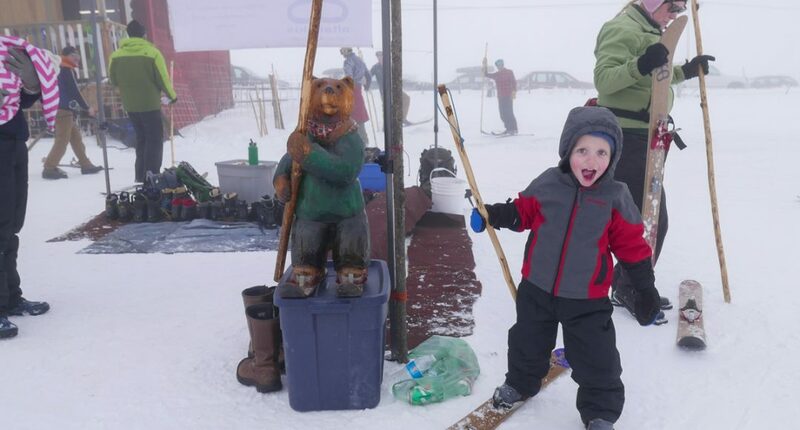 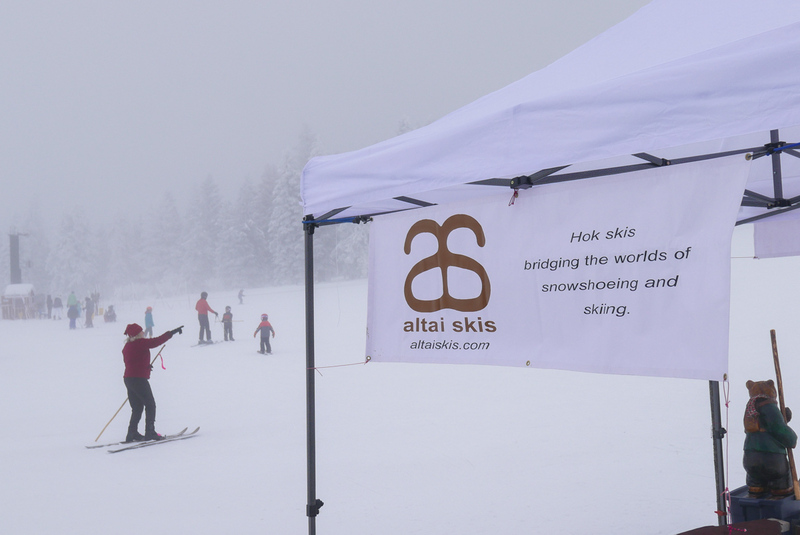 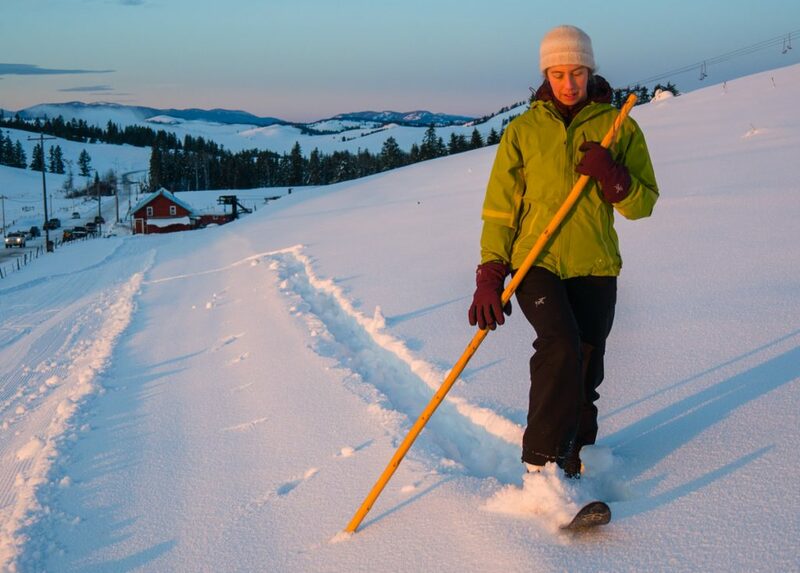 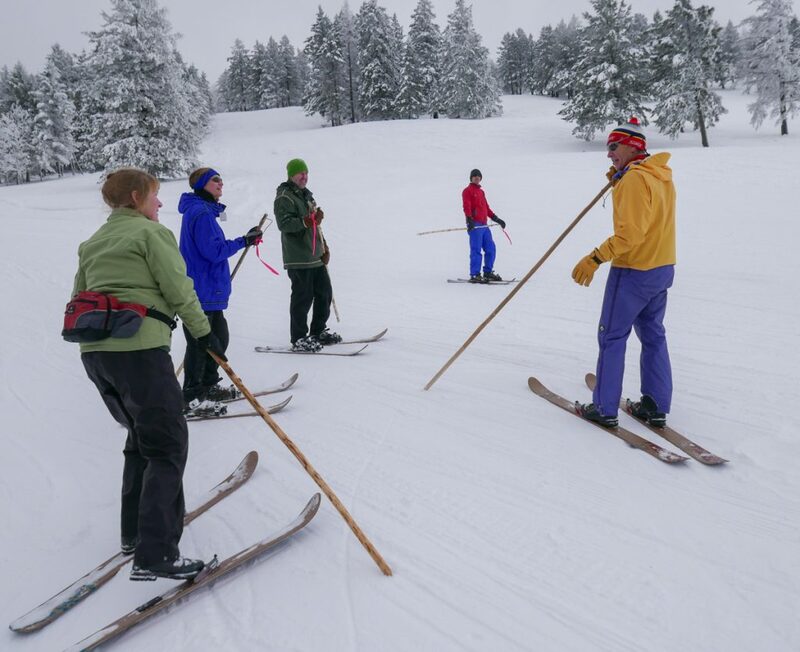 January 20th 2018 is the 3rd annual Altai Skis Hoks and ski festival at Sitzmark Ski Area in NE Washington, Okanogan Highlands. The Okanogan Highlands are a high mountainous area in the far north central part of Washington State. 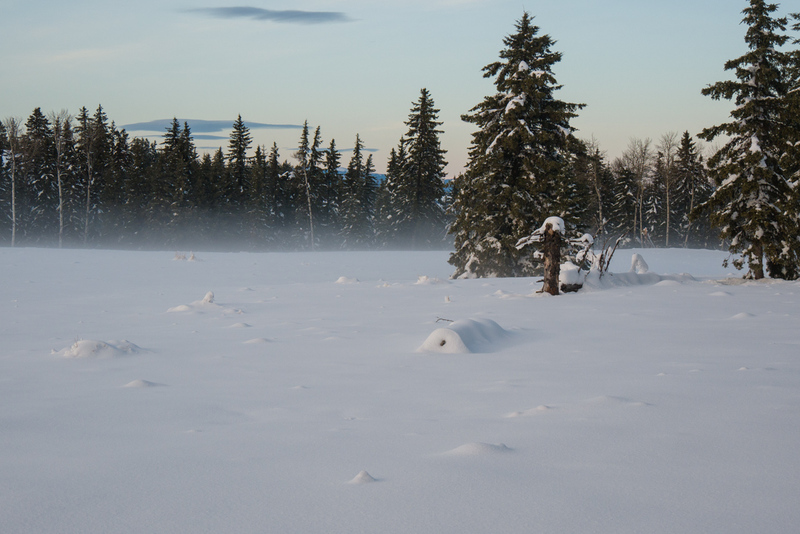 The Highlands are remote and very rural, and in the winter, cold and snowy. 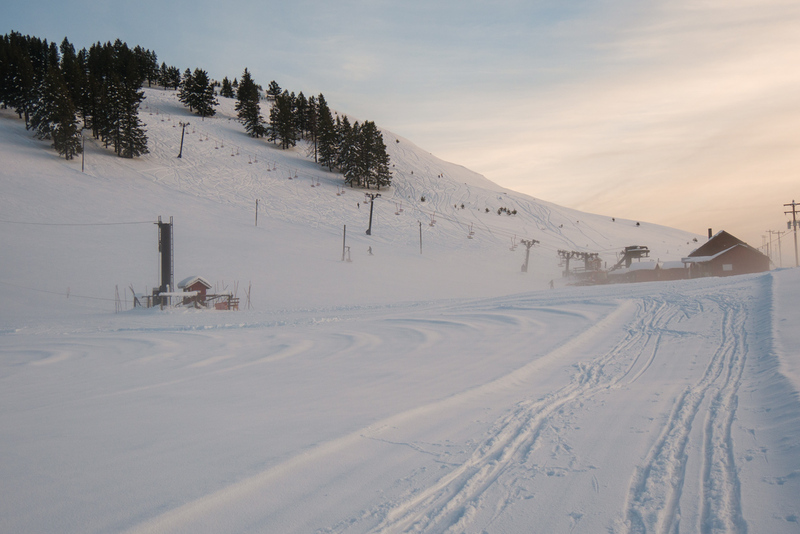 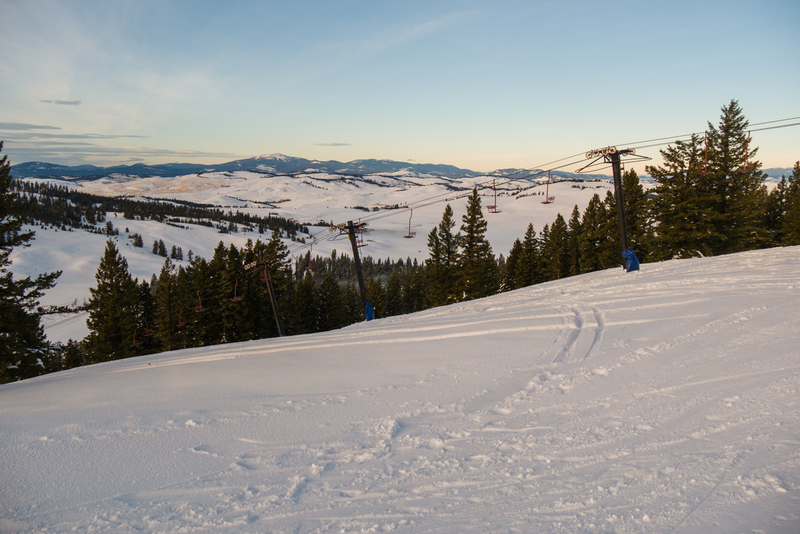 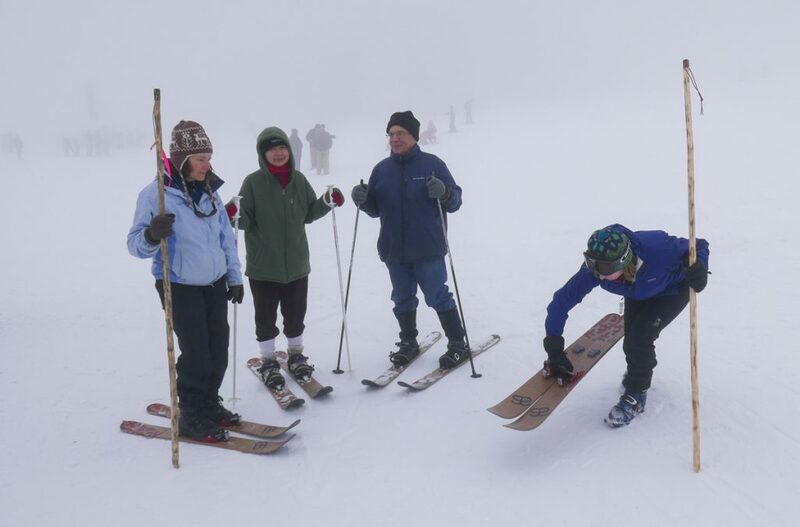 Sitzmark, one of the smallest ski areas in the state, has one chair and one rope tow. 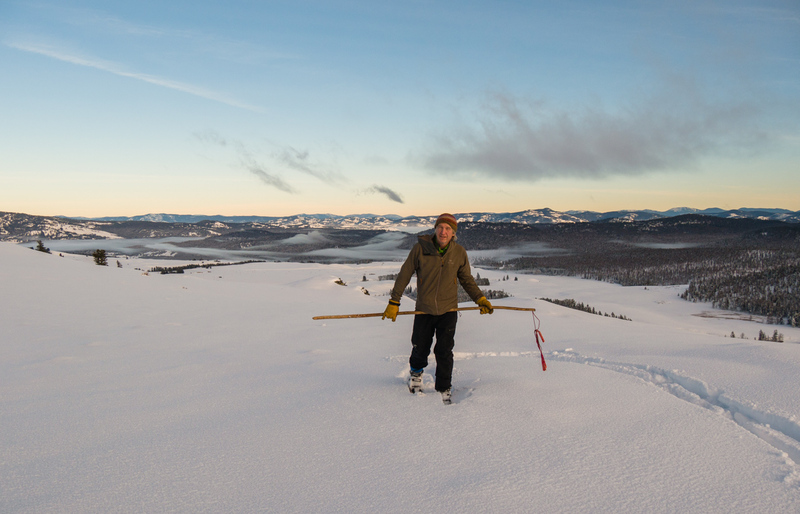 Views are expansive, north into Canada (less then 20 miles north), west to the North Cascades, and east to the Kettle Range. 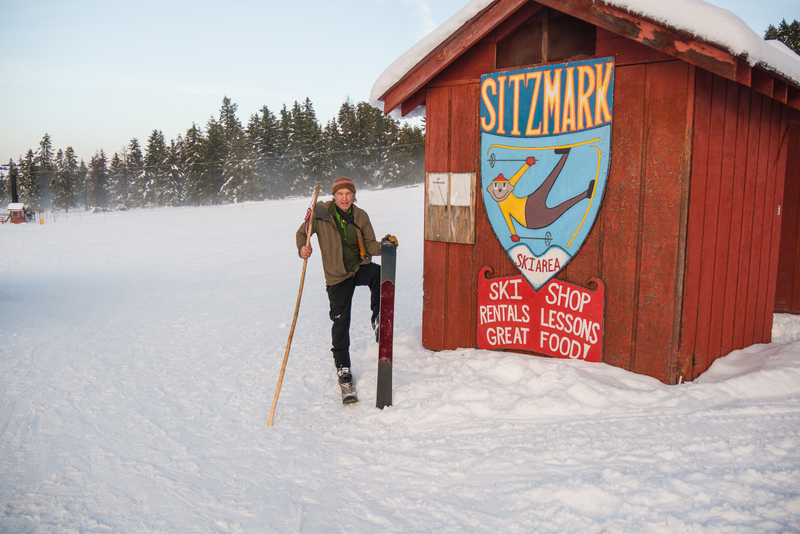 Sitzmark rarely gets a big snowpack but with consistent cold temperatures it does not lose much snow either. 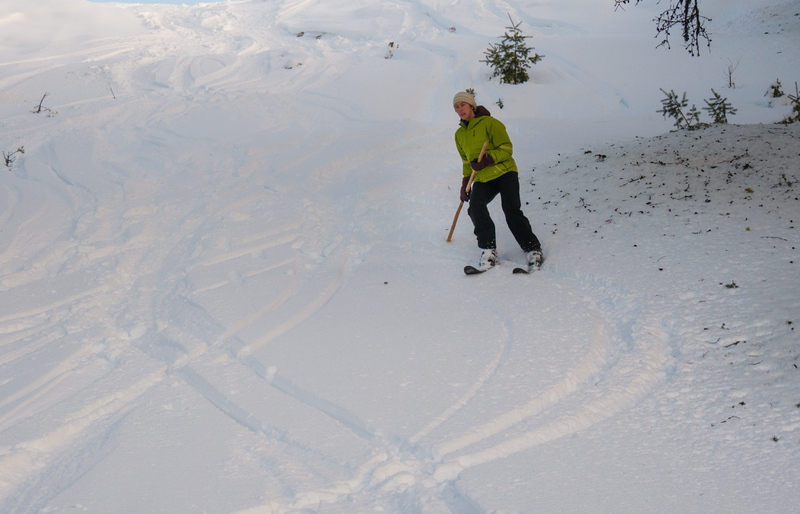 Lisa and I (Nils) went up yesterday ( January 15th) to check out the conditions and skiing was great – cold snow and a beautiful day up there.